Your FREE eBook just for Visiting, "Personal Development Success Quotes - 365 Daily Quotes"
Whether you are looking at change or just considering your options this is the site for you. At the Personal Development Institute we recognize that no one individual is the same and the need for change effects us all in different ways, whether it’s a new job or new relationships you will find resources, links, articles and information to help you make those important decisions you are now facing in a professional way. The key to Personal Development is self-knowledge. The Free Personality Profile is often our starting point for Coaching and Mentoring. If you are exploring what truly motivates you, the Free Personal Potential Assessment will help you identify your natural motivations, interests and talents for work. Once you have completed the free personality profile and the free career potential assessment then you are ready to Build Your Free Mission Statement. This is where you will start building your path to personal development. Next, it is time to set Your Goals for Success with the Free "Achieve Your Goals" eWorkbook. This Complete Goals Management System puts the purpose and practice of setting goals into perspective. You will emerge with a clear action plan and the tools and techniques to stay motivated to achieve your goals. The Law of Attraction is the Secret of Success that demonstrates how we create the things, events, and people that come into our lives. Our thoughts, feelings, words, and actions produce energies which, in turn, attract like energies. For continued Education please view our Top 50 of the Greatest Self Help, Success, Spiritual and Personal Transformation eBooks ever written. Where you will also find another Free Personal Development eBook. We hope you enjoyed your visit with us. Please give us Your Comments and Suggestions. Your FREE eBook just for Visiting, "The Reality of the Unseen." by William James. It posits that individual religious experiences, rather than the tenets of organized religions, form the backbone of religious life--studded with richly concrete examples--documents and discusses various states on consciousness. James was the first to define Spirituality as "the feelings, acts, and experiences of individual men in their solitude, so far as they apprehend themselves to stand in relation to whatever they may consider the divine." If you did your Profile, Assessment and Mission Statement, you worked very hard. Congratulations, now go here and relax for an important message and Interview. Additional Resources on the study of Human Potential and Personal Development. 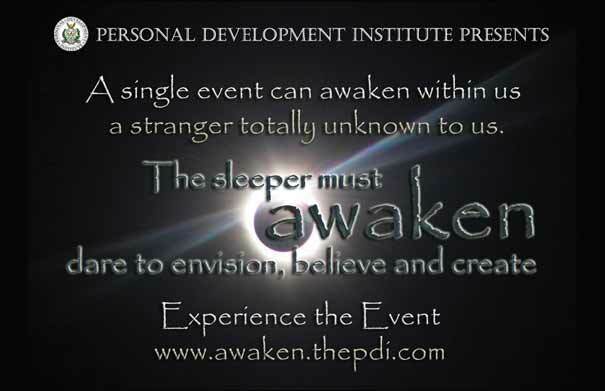 If you are interested in starting your own PDI chapter. We can put you in touch with your nearest PDI Adviser, who will take you through this easy process step by step. Click here for more information. 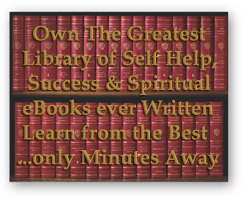 Over 50 of The Greatest Self Help, Success and Spiritual eBooks ever written. Now Available for $1.99 each or less than $1.00 when you Buy the Entire Personal Success Library Collection! Earn Money - Become and Affiliate - It's Free! 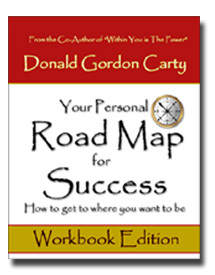 Donald Carty is one of the best presenters of Personal Development information in the world. But he is also a man with a mission, to bring this key information for achieving success to the individual person who needs it most. A step by step workbook guide for anyone interested in Success — full of tips, questionnaires, self analysis, and exercises. Presented through a collection of Donald Carty's very best tried and proven first hand personal development action plans. Please click on Book for Free Preview and Release information.